You probably already understand the basic legal concept of entrapment. In the most extreme cases, entrapment happens when the police lure an otherwise law-abiding person into committing a crime the person would not otherwise commit. When tried for that crime, entrapment may be offered by the suspect as an effective and probably successful defense. But that’s only the most extreme kind of entrapment case. Can you use entrapment as a defense if the police sit outside of a bar or nightclub and watch you drive away under the influence? Aren’t they “entrapping” you? The answer is no. If you’re charged with DUI in southern California under those circumstances, you can’t offer entrapment as a defense. 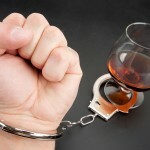 You’ll need to have an experienced Orange County DWI defense attorney represent you using another defense strategy. Entrapment only occurs when law enforcement causes or compels someone to do something illegal that they would not otherwise do. If the police are merely sitting outside a bar, they are not causing or compelling anyone to drink and drive. Nevertheless, police officers still need probable cause to pull someone over on suspicion of a DWI. Leaving an establishment where alcohol is served is not, by itself, probable cause. Additional evidence of drunk driving – such as swerving or committing a traffic violation – will be needed. For the same reason, sobriety checkpoints do not create entrapment; the existence of a sobriety checkpoint does not compel anyone to drive under the influence. Of course, the best way to avoid being charged with DWI is simply to not drink and drive. But if you are charged with DUI in southern California, you should obtain the services of an experienced DUI defense attorney right away. A good DUI defense lawyer will help you gather evidence and witnesses, dispute DUI test results, and will work hard for justice on your behalf. DWI is serious in southern California, so take it seriously; if you’re facing the charge, consult an experienced Orange County DWI defense attorney immediately.